It was one of my goals in November to use LOTS of my new nail art stuff, and I'm sad to say, I think we're going to end the month with a lot of it still untouched - oops. Today however is a day that I DID play with the goodies in my toy box. 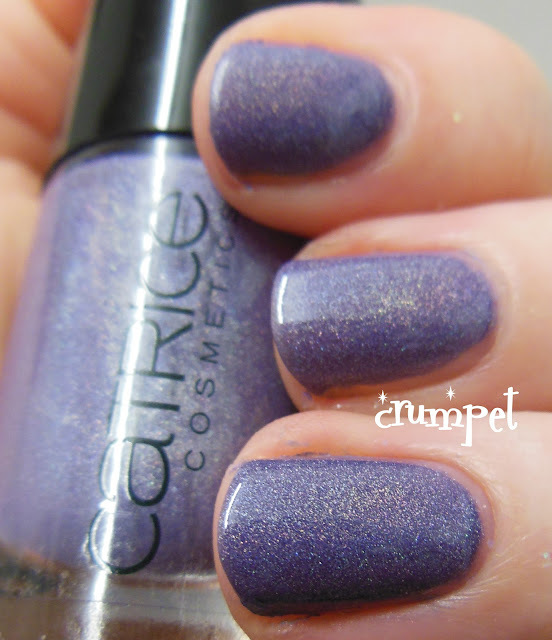 Firstly we have Catrice Dirty Berry which was on my wishlist for the longest time - I think it was the first purple I really started craving when I began blogging. 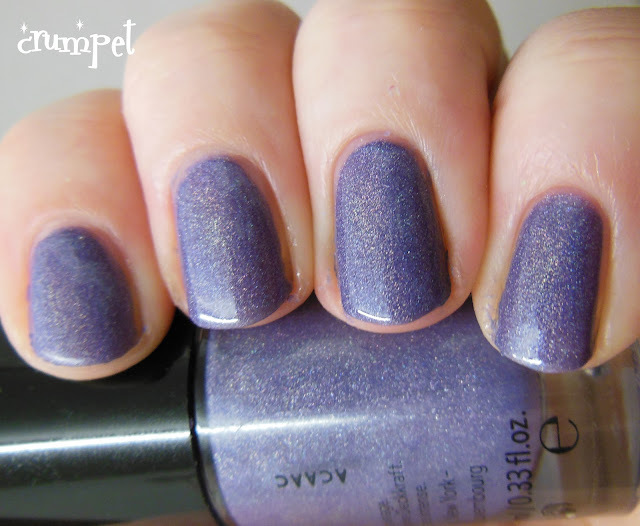 It's a stunning greyed out purple holo. Just look at it - ugh, SUBLIME. 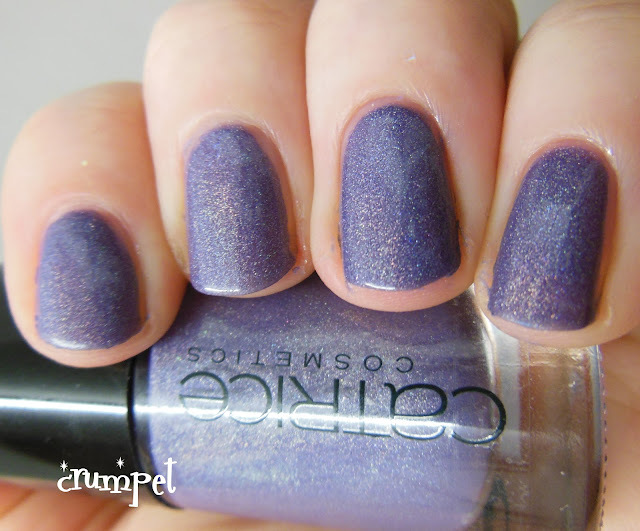 This colour is soooo spot-on, and the holo is just enough, without being over powering. 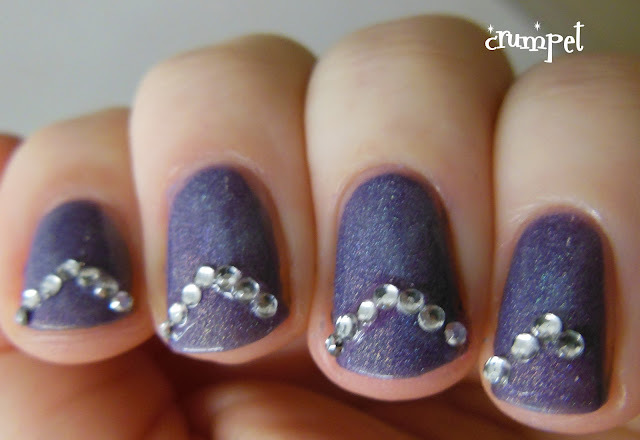 Now, these were originally going to be glitter chevrons. 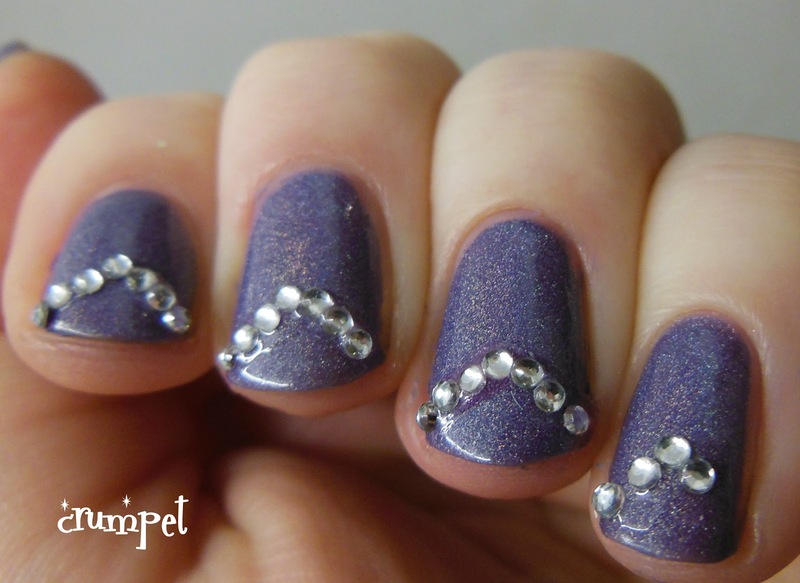 I started with a different type of glitter, but it didn't really work - hence all the blobby gunky stuff on the thumb. Then somewhere along the way we seem to have lost a rhinestone off the pinkie - ppppffff. Also, when I uploaded the photos today, I thought my chevrons looked a bit droopy, and not as crisp as I would have wanted (but it was my first try). So, in a cunning manoeuvre, they are now droopy moustaches for Movember lol. 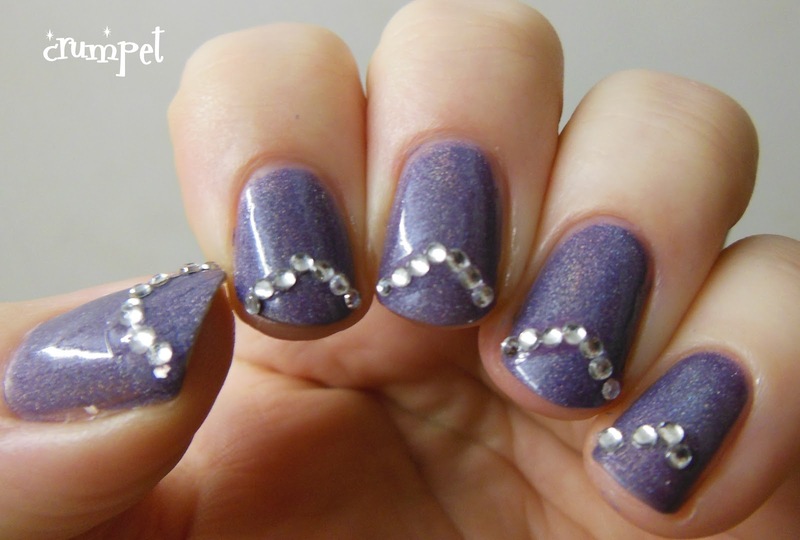 If I'd gotten this a bit more right, I think it would have looked quite simple and elegant. Still, as a first attempt, I'm not too disheartened. 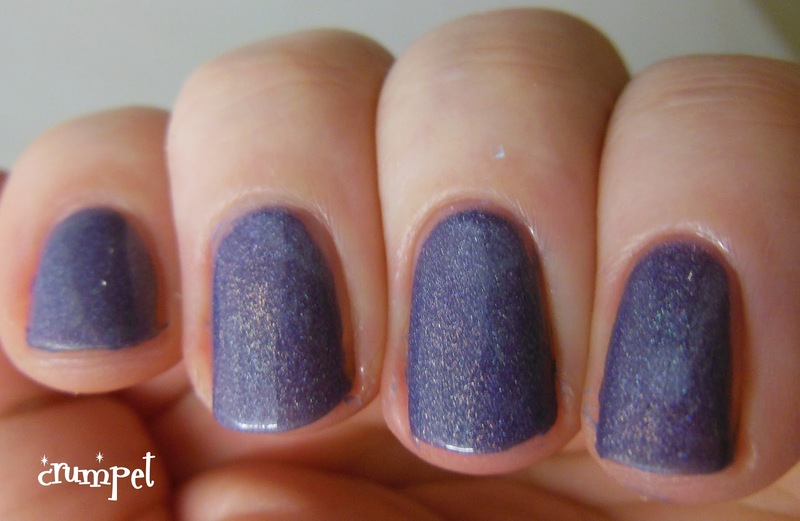 Barry M Gelly Polishes - Swatch and Review! 30 Days of Purple - Day 22 - Nellyphants !!! Digit-al Dozen Does MUSIC - Music! Digit-al Dozen Does Music - ABBA! 30 Days of Purple - Day 6 - Stripes!